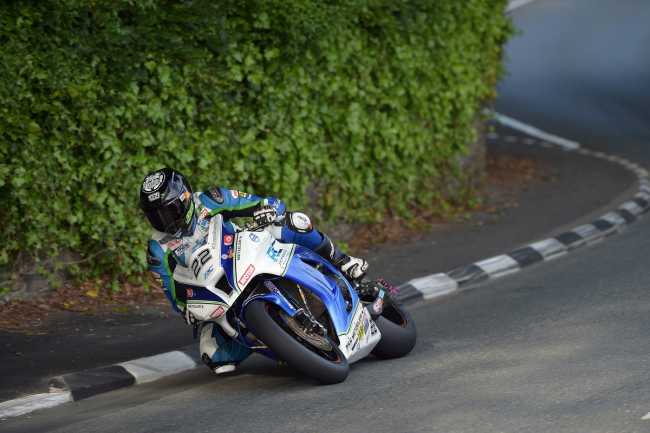 The Lincolnshire rider was having his first TT race on a Superbike machine but the race started well on the Kawasaki ZX-10R and an opening lap of 125.633mph put him comfortably inside the top twenty. It was also his personal best lap of the 37.73-mile Mountain Course. However, on the second lap, a problem with the clutch lever meant Ivan had to stop to make adjustments at Ballaugh and although he got going again, the problem didn’t go away and he eventually retired at the pits just as he’d begun to move up the leaderboard. Ivan has a packed day on Monday with outings in both the 4-lap Superstock and Supersport races which get underway at 1.15pm and 6.30pm respectively.